Arterial stiffness means that there is abnormal stiffening in the walls of your large arteries leading from the heart to major organs. Its a powerful predictor of high risk ... death risk possibilities. The main and immediate danger to this stiffness is a steady rise in blood pressure measurements creating a vicious cycle of destructive changes that further stiffen your arteries. Would you like to keep your arteries supple, and protect yourself, your organs from several degenerative changes from occurring over time? This is more than just plaque formation and should not be confused with atherosclerosis. It occurs in part from our biological aging, type II diabetes, arteriosclerosis and high blood pressure, all contributing to the steady rise in its stiffness. With biological aging, several degenerative changes occur in the walls of large elastic arteries that have an impact on the body over time. Also, inflammation plays a major role in arteriosclerosis development, consequently becoming a major contributor in large arteries stiffening, along with calcium calcification. When calcification occurs it is usually from too much calcium being deposited into the normal supple arterial walls. This then leads to the hardening of the arteries. Remember one of the contributing factors to this high blood pressure danger was calcium calcification. Well both vitamin D and vitamin K plays crucial roles in calcium metabolism and removal. 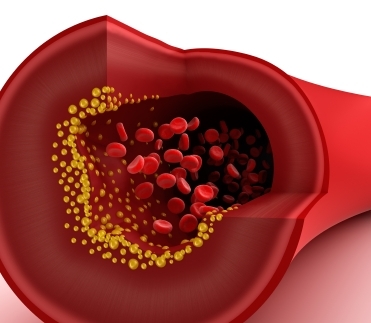 Let me give you the details on how each work in keeping the arteries supple. Vitamin D absorbs calcium from the diet and helps in the promotion of calcium deposition in bones. It works on the continued building of bones within the body that in turn helps to keep our skeletons strong and adaptable. Vitamin K is essential in keeping calcium out of the arteries. It modifies specific proteins in the arterial walls, making them resistant to binding to calcium. It does the job of preventing arterial calcification and stiffening, making the proper deposition of calcium into our bone. As you can see we need both vitamins D and K working together to keep our arteries ageless and supple to prevent the myriad of disorders associated with arterial stiffening. I would like you to read more about how arteries stiffens. As researchers continue their studies, we now know that prevention of arterial disease is an essential step in preventing virtually all age-related organ failures and related disorders.